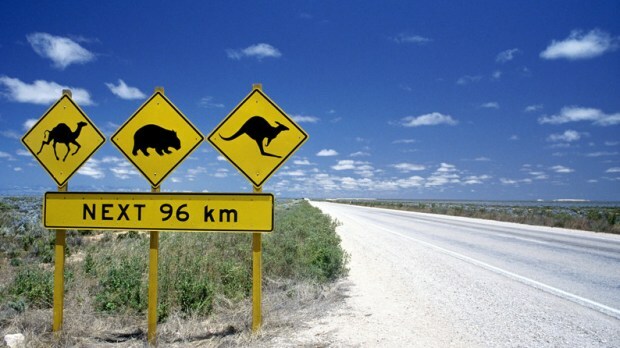 Amongst the many places of interest to visit in Australia, being such a vast continent, planning your travel routes and places to stay was a real challenge prior to the digital age. The capital of Australia has not only national monuments, attractions and museums as places of interest, but also grand national parks to explore that are within easy reach of Canberra. See more about the ACT. New South Wales, with Sydney as its capital, continues to attract millions of visitors every year. The state has deserts in the far west, stunning national parks and charming places along the coast to visit. Stunning beaches line the coast, the snowy mountains in the south offer alpine vistas and winter snow sports. 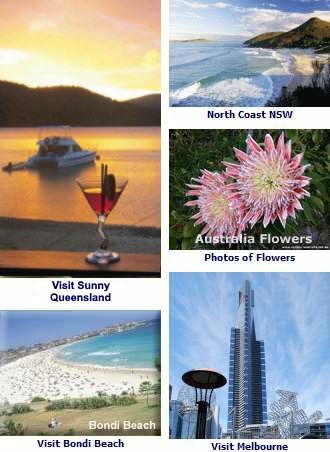 See more about New South Wales. The Northern Territory has the Red Centre of Australia, with Uluru being an iconic desert natural wonder and the mystifying Kata Tjuta, previously called the Olgas. To the north of the state, at the Top End, World Heritage Areas including Kakadu and Litchfield. See NT Map. More NT. South Australia offers much more than just beautiful opals and great wines. The Adelaide Hills are renowned for their natural beauty, while the Eyre Peninsula has some of the most beautiful accessible coastal scenery of the state. The Murray river meanders to the ocean through splendid Australian scenery, filling beautiful lakes, billabongs and lush wetlands along the way. More about SA - Adelaide Australia. This island state, Tasmania, has huge national parks. More than a third of Tasmania is protected in state reserves, national parks and World Heritage Sites. This natural areas are great attractions for visitors from both Australia and overseas. More about Tasmania. The sunny state, Queensland has one the great natural wonders of the world, the Great Barrier Reef. Yet, there is even more to explore here, islands, sub-tropical cities and towns and sweeping ocean vistas and long sandy beaches. Queensland’s tropical climate itself is an attraction, other places to see here include of the Barrier Reef, but also Cairns, which is a popular jump off point for those wanting to explore the reef, as are towns along the coast including Mackay, Rockhampton and Townsville. Further south are Brisbane and the Gold Coast. See QLD. Victoria, although the smallest state, has a wealth of places to go and grows great wines and has a great alfresco/café culture to match that of Europe. Its stunning national parks preserve some of the most wonderful pristine areas of the world, while Melbourne is considered to be Australia’s Food Capital. See VIC. Growing in popularity with overseas visitors, Western Australia, occupying over two and a half million square kilometres (1 million sq. miles) of land mass has a huge diversity of natural landscapes and wonders. From the tropical sunsets of Broome, to the deep gorges and waterfalls of Karajini, from the great desert regions, to the stunning coastal vistas, backed by the deep forests and fertile fields of the south west. More about WA. Map of Australia showing places to go Australia Map. You can find places to stay in throughout Australia - luxury hotels to motels and caravan parks. Hotels available includes a wide range of styles to suit almost any budget.